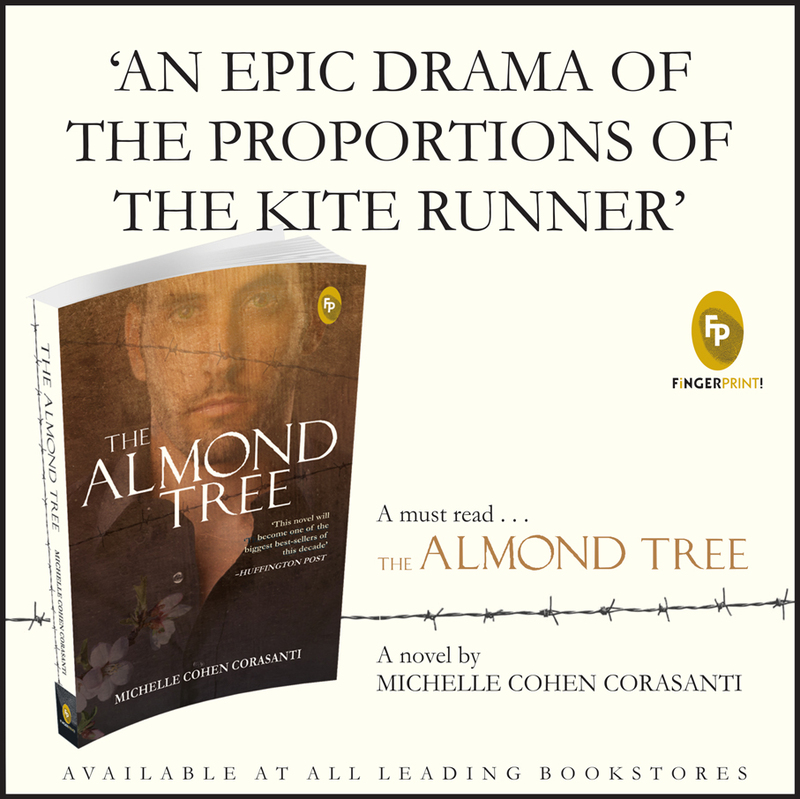 The Almond Tree, Reviewed by RCD Team. Michelle Cohen Corasanti is a Human Rights lawyer, from America. She grew up in a Jewish household, and dwelt on the idea that ‘the Jews found a land without a people for a people without a land and made the desert bloom.’ It was when she went to Paris for a summer course and met some Lebanese men there, did she get to know the other side of the story, the Arab version of the Israel-Palestine conflict. Later during her years at The University of Hebrew and at Harvard, she learnt about the ignorant and even hypocritical society she was a part of. Over two decades later, she was reading ‘The Kite Runner’ while on a holiday, and it was not until the protagonist of the book said that the past can’t be buried, it finds the means to claw its way out, that her past resurfaced. She decided to write about the injustice she had witnessed, a story that needed to be told. Ahmad, the protagonist, lives in a village in Palestine with his family, and is the eldest of seven children. In a country where discrimination, tyranny and bereavement are existent in every nook and corner, and people of different faiths look at each other as enemies and nothing else, Ahmad finds solace in science. Even after having suffered more than what anyone deserves in one lifetime, Ahmad’s love for science and his father’s resolute faith do not let hatred take control of him. It is a story of unsounded agony and the way out of it. The book is emotionally gripping right from the first chapter; it starts in a way that makes the reader fully conscious of the ghastly conditions in the country. The narrative flows so marvelously that make one feel that they are perpetually present in the air between the characters. You might find yourself curling your toes, closing your eyes to absorb the overwhelming emotions and even saying silent prayers for the characters. The kind of distress and loss described in the book can make every setback that we worry about seem naïve. There are many noteworthy aspects of the novel for which the author deserves approbation; this book has many quotes that tell stories in themselves, their impact is powerful, the elaborate details about the setting make it very vivid, and the message of peace, which is one of the major reasons this book was written, has the capacity to alleviate the stiffest of bigotry. The story lingers with the reader for a very long time, but what might not have the same impact are the characters. The characters in the book, though not to the extent that they seem unreal, are one dimensional. The first impression they have on the reader remains till the end, there are not too many shades to their personalities. Also, the narrative might seem one sided for a reader who has never been to or does not know much about the Israel-Palestine conflict, but then, it is a work of fiction based on experience. Arguably the most important book of the year: Dream Crazy Book Review. Corasanti’s accomplished debut novel offers a humanistic look into the Israeli-Palestinian conflict.. sensitive, moving..: Kirkus Review. The Almond Tree should be required reading for all..: The Times of Israel. An insightful perspective on the questions of Palestinian exile and survival that haunt the Middle East…Promises a bright future for Corasanti. :World Literature Today magazine.